While the standard hotel rating system only goes up to 5-star Deluxe, Phuket Island has many resorts that easily deserve a 6th star. The island has about 65 5-star hotels, including over a dozen that are some of the best resorts in all of Asia if not the world. We’ve compiled a list of the finest of them, and all the resorts listed below consist of suites and villas only, so they attract an exclusive clientele even though prices at many of them are quite modest considering the size and private pool for each villa. A few also provide 24-hour private butler service, just to make sure each guest is as pleased as possible during their stay. Visiting Phuket is so easy that you won’t need a travel agent to book a luxury holiday. Most of these resorts offer private airport transportation, so you get the most value by booking flights and taking advantage of the special online rates. Arguably Phuket’s finest resort of all, the Trisara Hotel has 39 pool villas spread over a hillside that goes all the way down to a private beach. 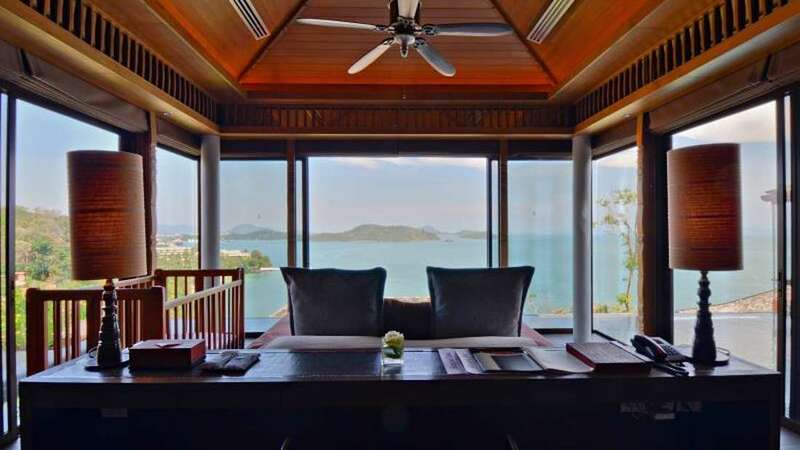 Each villa has a view of the Andaman Sea and an infinity pool out on its large deck, and most villas have a full kitchen. Romantic couples will be comfortable in the smaller pool villas, but families and groups can opt for villas with anywhere from 2 to 6 bedrooms. This resort has a Kids Club so families with children have plenty of options, but the grounds are spread out like a luxury community so it’s popular with the honeymoon crowd as well. There’s also scuba diving, tennis courts, and a full beach club just out front. With a private and exclusive location on a nearby island, the Six Sense Yao Noi Resort is another that deserves a 6-star rating. There are 56 villas here, each with a private pool on a large sundeck, and each with an amazing sea view. This is a member of the acclaimed Six Senses luxury hotel chain, where the hotels have a unique design with very large rooms that are mostly open-air (with ceiling fans) and an air conditioned bedroom area. The villa design combined with the tropical breezes on this hillside resort makes for an unforgettable luxury experience that is all about barefoot elegance. There are a couple of restaurants in addition to the in-villa dining option, plus a gym, tennis court, and private beach with full amenities. This is a better choice for honeymoon couples than families, but the larger villas are certainly well suited to groups. 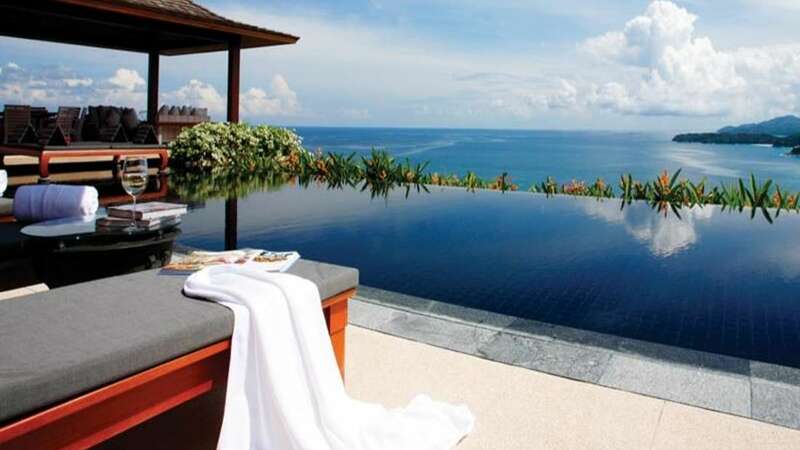 Featuring 52 suites and villas that each have their own infinity pool, the Sri Panwa Phuket Resort is a full-service hotel, unlike many other villa complexes with only a few amenities. The rooms range from the large Pool Suites all the way up to the enormous 5-Bedroom Residence Villa, and all are outfitted with 5-star amenities including loaded iPods and state of the art sound systems. There is also a “Beach Pool” that is set 60 meters above sea level, as well as a private beach below. Yoga & Pilates classes and Thai Boxing are among the more interesting activities available, but there are far too many to list. Of course there is a luxury spa as well as a large pool club that features a wide variety of recreation and dining. With 48 pool villas set over a secluded corner of a sandy beach, the Shore at Katathani Resort is very popular with honeymooners and other romantic couples. The villas are large, but not really family sized, and each has a private pool on its sundeck overlooking the sea. Each is also filled with deluxe amenities such as bathrobes and slippers for each guest and a premium entertainment system. The resort does have plenty of activities and amenities on offer, including a fitness center, yoga classes, and even golf putting greens. There is an acclaimed restaurant and a pleasant lounge, but another key feature is that this hotel is reasonably close to Patong Beach, so those looking for shopping or nightlife are a short taxi ride away. Another prime contender for finest resort on Phuket, the Double Pool Villas by Banyan Tree is ideal for those seeking the best of everything. The 24 private villas here are enormous and come with two private pools within the private garden area of each. The two-bedroom pool villas even come with a 24-hour personal villa host, so whatever you need at any time will be taken care of. 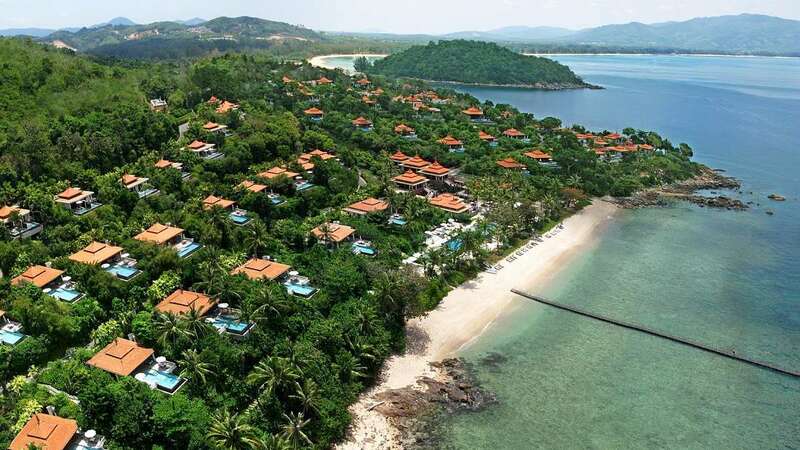 Perhaps better still is the fact that this resort is a private enclave attached to the main Banyan Tree Phuket complex, which is part of the larger Laguna Phuket resort complex. Guests here get all the privacy they could want, but also direct access to the 30 restaurants and bars within the exclusive property. The private beach is just a few steps away if the private pools don’t offer enough room to relax. With only 11 villas in total, the Impiana Private Villas is the smallest of these 6-star resorts in Phuket, but the amazing hillside sea views from each villa make it one of the most desirable as well. Accommodation ranges from Deluxe Pool Suites all the way up to the Royal Villa, and all of them include a private infinity pool as well as butler service. The intimate size helps keep it very private and exclusive, but unlike some of the others, this one has very few activities on offer. 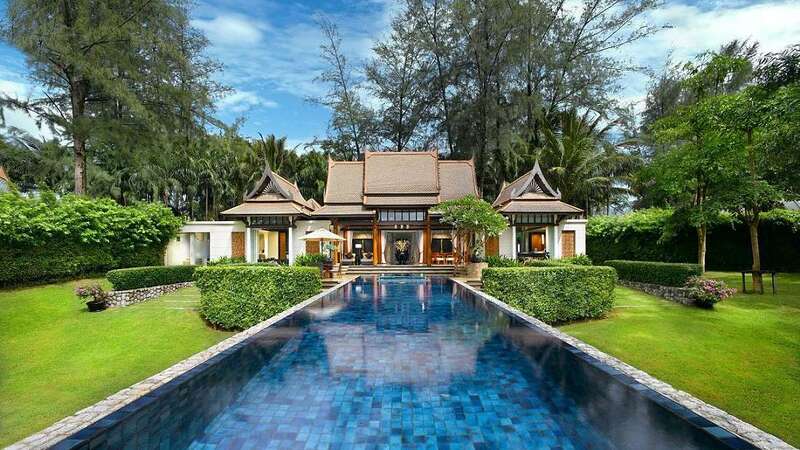 The villas are all large enough to host a party, and it’s also relatively close to Patong Beach and other popular areas, so it’s a good choice for those coming to explore Phuket when they aren’t just relaxing in their private infinity pool. Featuring 63 suites and villas, the Andara Resort Villas is one of the larger Phuket hotels that could be in the 6-star category. Most of the villas and many of the suites have private pools, and all are very large and stuffed with luxurious amenities including Bose sound systems. Indoor and discrete outdoor showers and bathtubs are in every unit, so it’s well suited to romantic couples. There’s an acclaimed outdoor Thai restaurant and a private beach with a club and lounge, so there is no shortage of ways to relax in the tropical breezes. There are tennis courts and a luxury spa as well, plus a common outdoor pool with sun loungers. This is a popular resort with many guests who return each year, so it’s one to be booked well in advance if possible. We want private pool villa room. This is an interesting question without a perfect answer, but I’m sure I can help you. First off, there are no official “6-star” hotels anywhere, but in Phuket the 5-star category covers a huge range, so many people unofficially break it into 5-star and 6-star. 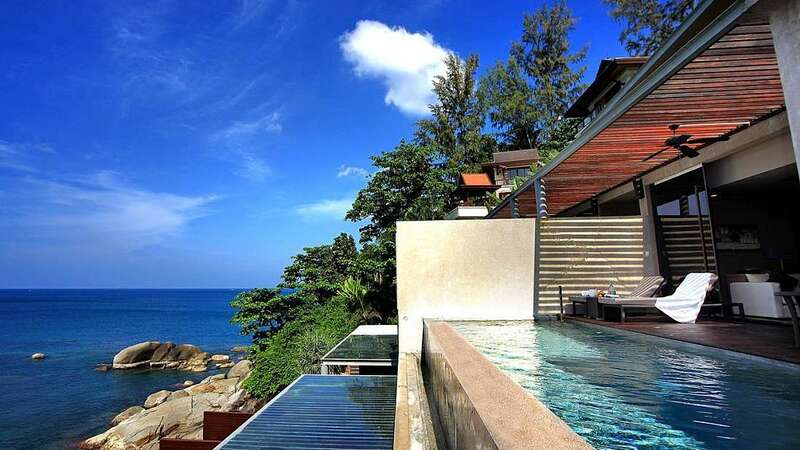 In other words, you are actually looking for one of the best 5-star hotels in Phuket. 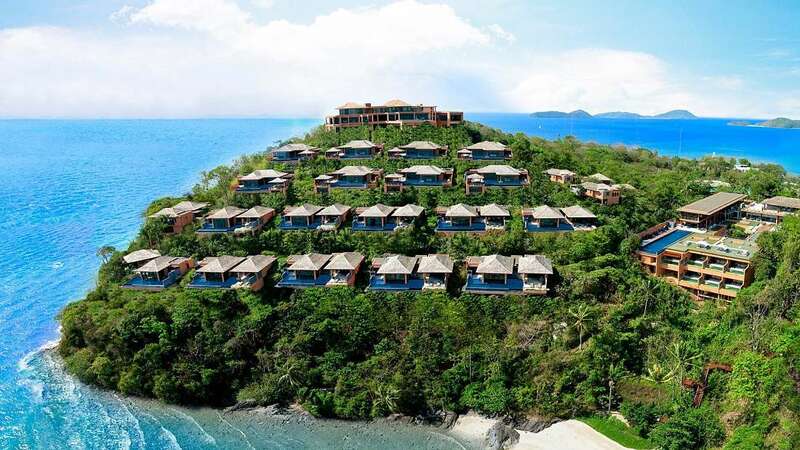 The other tricky thing is that almost all of the best super-luxury resorts on Phuket are on hilltops rather than on the beach. And to complicate matters more, most of the beach resorts that are close to the airport are in the lower category. So I highly recommend looking at resorts that are not too close to the airport, and since you are staying for 10 days, that one-hour trip from the airport and back shouldn’t really be much of an issue. So looking at the best “6-star” resorts on Phuket with private pools that overlook the beach, there are two that I’d highly recommend. This one is on a quiet and classy part of the west coast. This one is on a small island just off the east coast, but it’s easy to reach. This one is easily one of the finest resorts in Thailand, and it’s not outrageously expensive considering all you get. Thank you for providing such great information, with the crazy amount of hotels its very helpful. I’m looking for a 6 star resort to fit my family ranging from 6mths old to 67 year old. Boss lady want to be near town for massages but not patong, and she is also weary of tsunami with the tremors lately, would you have any suggestions? THANK YOU THANK YOU THANK YOU. 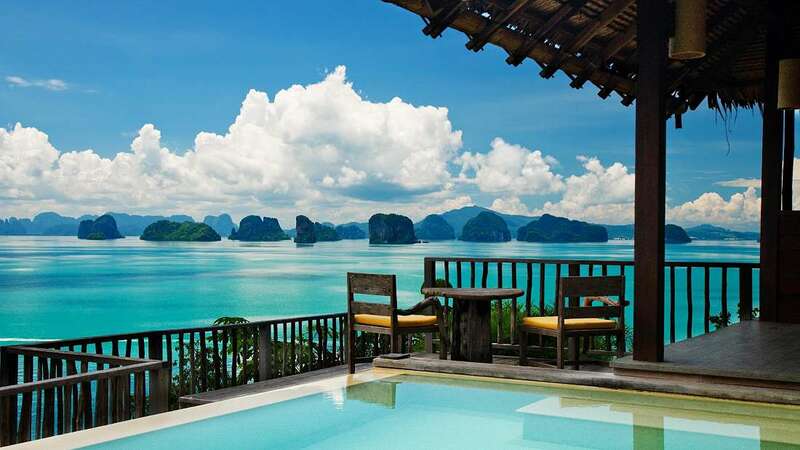 If you haven’t seen it yet, please have a look at this post featuring the best honeymoon hotels in Phuket. A few of those are fairly close to Patong, which is where nearly all of the real nightlife on Phuket can be found, and most of the shopping and top restaurants as well. Hi I have a question I am doing the research for my wife’s 50th 27.6.2016. We plan to invite approx 20 couples of like minded fun loving couple we want to party like were in our 20’s and recover in our 30’s. Last year for my 50th my wife took us to Bangkok and we had the best time we stayed at the JW Marriot had 20 deluxe rooms and one large suite which our room but doubled as a common area for meeting drinking staying up late etc. Restaurants are important bars etc day trips sight seeing . My plan is to self fund my friends accommodation & breakfast they pay for only mini bar and spa etc at this stage it looks very much like arrive 25th check out all 29th or some may stay on further at their own cost. This sounds like an incredible party and it makes me regret not becoming one of your friends years ago. What was I thinking? Anyway, we are mainly just an online guide to Phuket resorts and we don’t do any booking, nor do we have access to special group deals, unfortunately. I’m sure most of the resorts we have listed on this site would love to have your group, and I’d also think that you’ll be in a position to negotiate a better deal than you’ll find online. Generally speaking, it’s tough for real offline travel agents to offer better rates than a site like Agoda.com in Phuket for 1 or 2 rooms. But if you are going to book 20 rooms they should be able to negotiate a great rate. In fact, you might even consider going directly to the resorts because each of the larger ones will have a group-bookings manager. If you go directly to them you’ll also be saving the hotel the commission to an agent, so you should get an even better deal. Am looking for 6 star resort with activities for 11 to 16 year old children. Any suggestions? 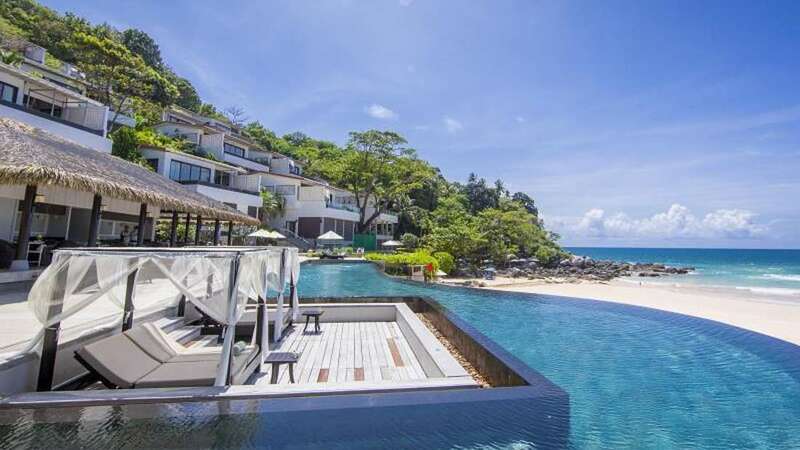 My boss plan to go Phuket and want to stay in very luxury villa with front beach for two nights arrival 26th and leave 28th November 2015, about cost it’s unlimited, please suggest me. I know it may be inappropriate but do any of these cater to the adult side of things or not? My husband and I plan to visit Phuket while he is on business. His company is having a conference at The Pullman. We would like to stay in a luxury resort within taxi range to The Pullman. Since I will be alone during the days, I would like to be able to spa and possibly shop. I want top-notch. Thanks so much! I have been searching for a luxury hotel to stay during my winter break this year. My boyfriend and I love food and drinks. We want to go to Phuket Town for good food, but we want to stay close to the beach. Any ides for any luxury hotels with good food / drinks and easy access to town. Thank you! For most people, Phuket Town isn’t really known for “good food.” You can find great local Thai restaurants all over the island, including in Phuket Town. Many people prefer the Thai restaurants in the hotels, and usually the better the hotel, the better the restaurant. Can you please recommend the best luxury resort for our family. We are looking for somewhere for my husband and I, plus our two daughters (aged 11 and 9) plus my parents who will be also traveling with us. We would like somewhere with great pools, great food and a great beach. The girls love swimming, so a great pool is important. Thank so much!